Our Reduced Shank (Silver & Deming) Drill Bits are exactly what you'll need to complete the first step in the Screw Thread Insert installation process. 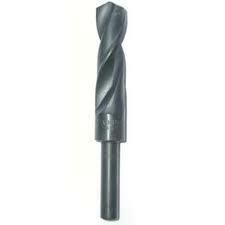 The drill will clean up the original, damaged threads and pave the way in creating a new, stronger thread. For a comprehensive list of our available kits, inserts, and tools - please visit our Helical Thread Insert or Key-Locking Thread Insert summary pages.